This lavishly illustrated guide to iconography explains through words and pictures the history, meaning, and purpose of Christian icons as well as the traditional methods that religious painters use to create these luminous, spiritually enlivened works of art. Solrunn Nes, one of Europe's most admired iconographers, illuminates the world of Christian icons, explaining the motifs, gestures, and colors common to these profound symbols of faith. Nes explores in depth a number of famous icons, including those of the Greater Feasts, the Mother of God, and a number of the better-known saints, enriching her discussion with references to Scripture, early Christian writings, and liturgy. She also leads readers through the process and techniques of icon painting, showing each step with photographs, and includes more than fifty of her own original works of art. 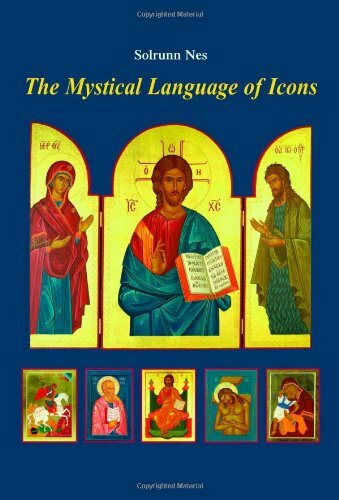 Deeply inspiring and utterly unique, "The Mystical Language of Icons" will inform both those who are familiar with the rich tradition of religious art and those who are not. It also serves as a powerful devotional resource in its own right, one that Christians everywhere can turn to again and again. If you have any questions about this product by Brand: Wm. B. Eerdmans Publishing Company, contact us by completing and submitting the form below. If you are looking for a specif part number, please include it with your message.